Peach Pie - Filling is better from jars! - Canning Homemade! 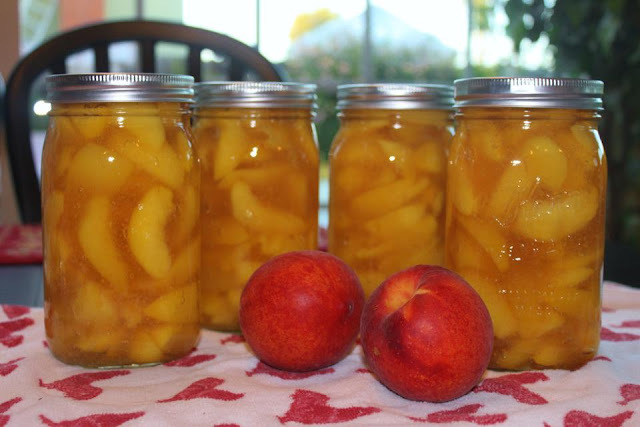 Home » clear jel » Fillings » Peaches » Pie » Peach Pie - Filling is better from jars! Peach Pie - Filling is better from jars! With Clear Jel in the back seat of my car I knew that with 60 lbs of peaches this year I was definitely going to leave Las Vegas knowing that my sister had plenty of Peach Pie Filling in her pantry. During the first few days Cheryl spent so much time peeling and pitting peaches that her fingers were turning yellow. She was going back and forth about the pie filling being made but I stood firm that I wanted her to have jars that gave her the pleasure in knowing that all the work was worth it. Having 7 incredible jars of amazing flavored peach pie filling was going to happen. The pie filling recipes are very simple but you must be prepared as the recipe will go very fast once the sugar, Clear Jel, and water become thick. I have my bottled lemon juice pre-measured in a cup, my peaches measured and in a bowl, and my spices measured ready to pour into the pot. Cheryl loves nutmeg so I add that instead of the cinnamon and added and additional 1/8 tsp of pumpkin pie spice (which has cinnamon in it) to give it some additional flavor. The flavor going into the jars was perfect. The gel was very smooth and the peaches looked great after the water bath. Cheryl was pleasantly surprise when she saw the jars on the counter. I left all of them for her even after she kept bugging me about taking a jar or two. Joanne's Beautiful Jars of Peach Pie filling! Quality: Select ripe, but firm fresh peaches. Red Haven, Redskin, Sun High, and other variet­ies of similar quality are suitable. Procedure: Peel peaches. To loosen skins, submerge peaches in boiling water for approxi­mately 30-60 seconds, and then place in cold water for 20 seconds. Slip off skins and pre­pare slices 1/2-inch thick. Place slices in water containing 1/2 tsp of ascorbic acid crystals or six 500-milligram vitamin C tablets in 1 gallon of water to prevent browning. For fresh fruit, place 6 cups at a time in 1 gallon boiling water. 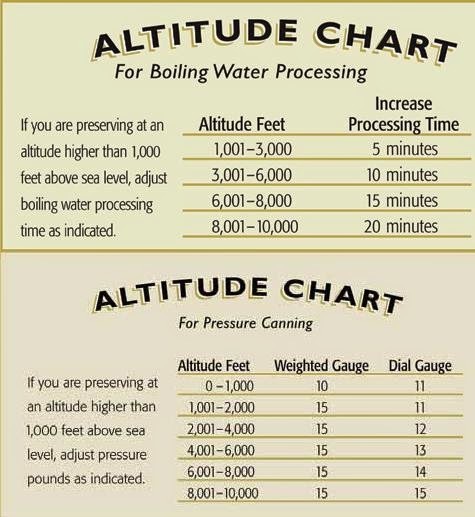 Boil each batch 1 minute after the water returns to a boil. Drain but keep heated fruit in a covered bowl or pot. Combine water, sugar, Clear Jel®, and, if desired, cinnamon and/or almond extract in a large kettle. Stir and cook over medium high heat until mixture thickens and begins to bubble. Add lemon juice and boil sauce 1 minute more, stirring constantly. Fold in drained peach slices and continue to heat mixture for 3 minutes. Fill hot jars without delay, leaving 1 1/2 inch headspace. (SB Recommended based on seepage issues) Remove air bubbles and adjust headspace if needed. Wipe rims of jars with a dampened clean paper towel. Adjust lids and process immediately. Process in a water bath canner for 30 minutes. SB Canning Peach Pie Filling!